NEW YORK (Reuters) - A U.S. push to change the Iran nuclear deal was sending a “very dangerous message” that countries should never negotiate with Washington, Iran’s foreign minister warned as U.S. and North Korean leaders prepare to meet for denuclearization talks. “That’s a very dangerous message to send to people of Iran but also to the people of the world - that you should never come to an agreement with the United States because at the end of the day the operating principle of the United States is ‘what’s mine is mine, what’s yours is negotiable,’” he said. 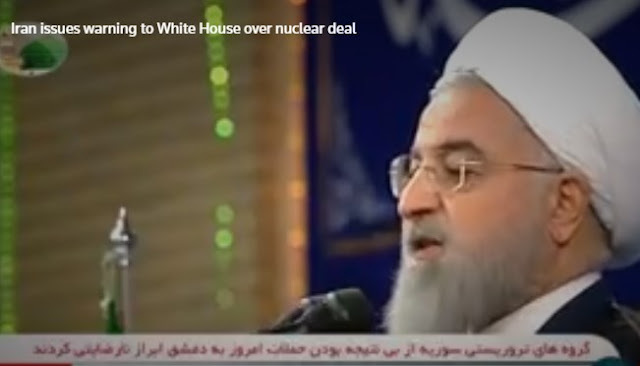 0 Response to "As U.S., North Korea plan to meet, Iran warns against Trump deals"